[While there are some things I don't believe Denise has got right, such as dates/timelines, here she describes some of the latest effects of the continuously amped up Wave energies. What I saw during this point of doing the 12 D Shield visualization was different from the changes I’ve seen unfolding in Earth’s core and the surrounding areas so far in 2012. I clairvoyantly saw two different yet connected images; one was of the brilliant and beautiful free-flowing movements of Light Energies within the core of Earth and surrounding areas that had been dark and unmoving a few months ago. The second image was from a viewpoint out in space looking at Earth. What I saw from this position in space was Earth being continuously blasted—as in energetically sandblasted—by a force of Galactic Center Light Energies the likes of which we haven’t experienced previously during the entire Ascension Process! This looked like a massive stream of white Light hitting Earth so hard that it’s causing bits and chunks of dense, lower frequency, encrusted, negative, human generated energies to be pulled to the surface and blown off the planet by this energy. These bits and pieces being energetically extracted and sandblasted from the Earth were NOT physical bits of land or anything like that, but were dense, lower frequency emotional, mental, psychic etheric energies created by humanity (the Collective) and the Negatives across time. Please understand that this is not negative or dangerous so don’t misunderstand what I’m saying and think there’s going to be devastating physical Earth Changes disasters because that’s NOT what this is about. Granted it was an impressive and potent vision from that perspective in space, but the real magnificence of this vision was that Earth is and will continue for the rest of 2012 to be energetically scoured or sandblasted by Galactic Center Light Energies to such a degree and intensity that all dense, negative, lower frequencies are in the Process of being surfaced, transmuted, and removed from humanity, Earth and this world reality. Is this massive process going to be completed in the next few days or weeks? No, so don’t think this will be over and done with by the end of this month! It is and will continue to be very intense and at times not so pretty at all but, it will unfold faster than anything we’ve experienced so far within the twenty-five yearlong compressed Ascension Process. If it’s got to happen—and it absolutely does—then it’s better it does so quickly. While I was viewing/perceiving this image and it’s meanings to the degree I’m currently capable of, I was glad to see what I’ve known was heading energetically towards Earth/humanity and that it’s finally here…more correctly, that Earth/humanity has finally orbited into IT. I’ve known that the Starseeds/Lightworkers/Indigos could only do so much while within physicality and that Earth/humanity would eventually enter some profoundly intense Galactic Center (GC) energy emanations as the last-minute way to be activated (impulsed, compelled) to complete this Ascension Process and evolve everything and everyone to the next level. We Starseeds/Lightworkers/Indigos have transmuted so much and embodied so much over the years but eventually this process would reach the final stages, which we’re in now, which means all the remaining negative dense lower frequencies and consciousness on Earth, in Earth, in humanity, in human consciousness, in human bodies, in the planetary Collective, in this reality and timeline etc., would be fully immersed in Galactic Center Energy Waves as the way for them to finally get clear and transmute. All the old lower frequency everything must exit between now and the end of this Evolutionary Cycle, which is the month of December 2012. 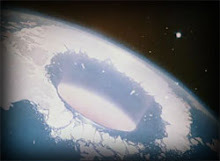 Humanity and Earth have entered the super compressed and even more accelerated surface and clear out the remaining crap phase of the Ascension Process during the second-half of 2012. How can humanity ascend and enter the next higher frequency level while still embodying so much lower frequency stuff? They cannot, so this intense last six month Ascension Process phase happens to assist the masses make this huge evolutionary leap while in their physical bodies. These GC energies also activates and assists them to evolve out of lower frequency egoic duality consciousness and negative Alien influences etc., and into higher frequency unity or High Heart or “Hieros Gamos” [see Lisa Renee's January 2012 article "Hieros Gamos"] consciousness and reality. After getting all happy and excited seeing that this phase is finally happening to humanity/Earth and the Collective, I had to consider that there’s going to be some blow-back and a lot of people won’t handle this phase well at all. This final 2012 six month Earth/Humanity/Consciousness/Collective sandblasting is rather like a human species and planet-wide exorcism of sorts and it won’t be smooth sailing through this volatile phase of surfacing and clearing the density and negativity (consciously and otherwise) via this Galactic Center Ascension Light Energy we’ve orbited into. There’s been talk recently about how humanity has more difficult and reality-changing years ahead, especially during the potent 2012–2015 Uranus/Pluto squares, but beyond that even. I know how utterly exhausted we (Starseeds/Lightworkers/Indigos) are at this point and I know how ready everyone is for the good stuff to finally arrive physically. We Starseeds/Lightworkers/Indigos have worked and battled so long and hard towards these positive changes for all of humanity and life on Earth, that to hear there’s more difficult transitional years ahead is almost more than most of us can bear at this point. Nonetheless, we need to discuss this phase of the Ascension Process and transition and better understand it. I want you exhausted, spent, borderline ready to throw-in-the-towel Starseeds/Lightworkers/Indigos to think about how you/me/each of us have lived, transmuting and embodying for years, decades and lifetimes already to get to this time we’re in right now within the Ascension Process and timeline. I know how tempting it is now to lay down in the middle of the road and have a long, well deserved nap in the midst of all this surfacing chaos, madness, collapsing of the perverted patriarchy, and the masses living the “end times” of the Ascension Process. But we can’t, so get up and listen for another moment please. Here comes my brilliant wisdom of the Ages — it’s so much harder and longer pushing the Ascension boulder up the mountain than it is shoving it over the top and watching it free-fall down the other side. The Starseeds/Lightworkers/Indigos years ago pushed the Ascension boulder up the mountain and over the top and now it’s free-falling down the other side and all we need to do with that is let it do what it’s doing to and for the rest of humanity. The worst of the worst of the dark grunt work has already been done by us so relax a bit with where we are now in this Process. The tsunami-like flow to the finish line (12-21-12) is always hairy, exciting, and super accelerated and there will be plenty of screaming, cursing, and tears of joy over simply reaching the completion and exit point of the past Evolutionary Cycle, the past 26,000 yearlong cycle and more. But, once that exit point has been reached and crossed in late December 2012, the energy will shift and improve dramatically (to many of us but not so much for great numbers of the masses) because we will have entered a new Evolutionary Cycle and at a very different level of being. Humanity will be in the process of transitioning out of egoic duality consciousness, life and reality and evolving into integrated, polarity resolved “triality” or “unity” or High Heart or “Hieros Gamos” consciousness, life and reality. This transition phase is and will continue to be a major one for everyone and yes, it will take some time, but like I said earlier it will happen very quickly once the Negatives and the old patriarchal systems and duality consciousness and frequencies aren’t functioning as the (hijacked) templates or blueprints for humanity and life on Earth. From the end of December 2012 forward, humanity will have energetically entered a major transition phase due to having exited the past Evolutionary Cycle, while traversing the collapsing global patriarchal systems, structures and everything else, and entered or ascended into the new but not yet physically built “unity”, integrated, High Heart, “Hieros Gamos” based world reality and systems. Because we’re talking about the physical realm, it’s going to take some time before all the old negative patriarchal rubbish is hauled off to the trash heap and replaced with higher frequency systems and structures. It’s going to take some time, and yet, due to the higher consciousness that so many will naturally have due to the Ascension Process, the Conscious Creating and Co-Creating and actual physical manifesting and/or building of the new “unity” or High Heart systems and structures can and will happen so much faster and easier. Please remember those different Stair Steps (many levels, stages and layers of spiritual growth, focus, learning etc.) I’ve mentioned repeatedly over the years. Everyone is not standing on the same Stair Step today nor will they be tomorrow or on 12-21-12, and yet, every human will be existing within the new higher frequency Evolutionary Cycle and world with its set of rules after that date. We’re all in the same ascension/evolutionary boat, but we all have been and will continue entering it at slightly different times (timelines) which can be days, weeks or months apart now. This is why there will always be different Stair Steps or levels and stages within everything. Everyone will have made the evolutionary shift after the 12-21-12 completion and exit date, but everyone won’t be perceiving or functioning at exactly the same level or developmental stage of consciousness in the new Earth world. The horrendous and nearly unbearable gaps between individual consciousness and spiritual development and focus will not be as extreme as it was before the Ascension Process and 12-21-12 exit date, but slightly different levels of development and awareness (Stair Steps) will still exist within the masses existing within ascended unity or High Heart or “Hieros Gamos” consciousness on Earth. That sounded worse than it will actually be so not to worry! The Ascension Process and arrival at the completion and exit point of December 21, 2012. The Transition Phase of humanity exiting ego-based, duality consciousness, life and reality, patriarchal/negative Alien rule post 12-21-12. The Embodying Phase of humanity stepping into High Heart or “unity” or “Hieros Gamos” consciousness and being which is non-polarized, fully integrated individuals. The Simultaneous Conscious Co-Creating of the new High Heart or “unity” or “Hieros Gamos” world, reality and life for all humans and all life on Earth. Even my listing those stages like that makes them look and seem like there’s huge space or linear distance in time between each event. There is some distance and time between each phase, but it’s also happening simultaneously which I realize sounds like a contradiction. In the old linear patriarchal world of duality we all incarnated into, things manifested in very different ways than they will from 2013 forward. What I’m struggling to express is that these different processes and phases listed above will be happening simultaneously, and yet, for many people IN THE PROCESS it will seem to them to be unfolding in a linear way where one thing is followed by the next and the next etc. However, as their consciousness expands, they too will begin perceiving and living increasingly in unity time/space/consciousness and this communication difficulty I’m struggling with won’t matter because they’ll be there, living and being it! All those of us on slightly further along Stair Steps need to do with this is allow it to unfold for each person in their time, not ours. Later on they’ll join those of us who’ve been existing in or at the outer edges of unity consciousness for some time already. It is truly a literal mine field for any seeker wanting answers on the internet regarding what's going down right now and where we, humanit, are at from a galactic/Star Fleet/Celestial perspective. On these many interminable delays-now the 3 Days of Darkness for which we're waiting -here's an email from someone I found on George Stankov's website that did resonate. At least a good portion of it. New to me in itself as a site and quite refreshing to come across, Stankov seems to encourage the Higher Self connection more than most. Which is super-encouraging, given what's out there. And calls certain entities 'astral terrorists', which I had a chuckle over. As always, use your own discernment when reading. Message from my HS: Why the Many Delays of Our Ascension. 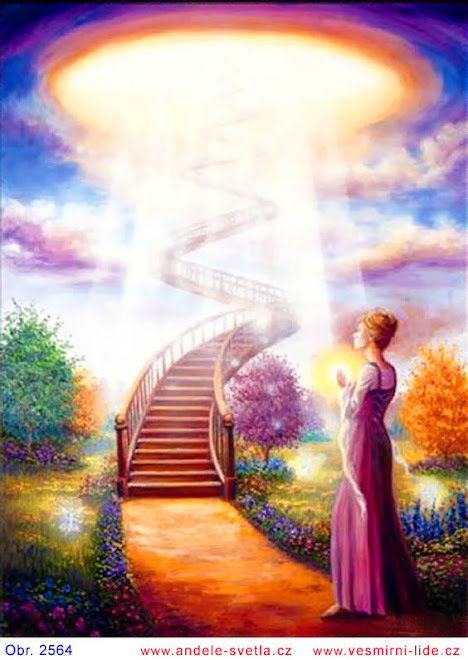 Georgi, after reading your latest post concerning your ascension dream, I asked my higher self if we or I should know anything else and the immediately I was flooded with the following information. Our ascension (PAT) has always been assured and could have happened as early as 2009. All delays have been initiated and even voted on by us. You see, we are so few, but so influential for this process. There was never a doubt about earth’s ascension. It had to happen by the end of 2012. We came to this planet to assist earth to ascend, but along the way we also have become attached to humanity and wish to take as many of them as possible with the new earth. This was never the original plan as it had never been done before. Since coming to this planet, we have had meetings with what I will call the “ascension council”. I will not get into who makes up the ascension council, but most of the work is done in the dream state. As early as 1986 we began to twist the arms of the ascension council to change the original plan. Not in the outcome, but the details. We wanted to try an experiment to bring along as many of humanity as we could. This was debated but finally agreed to, because we have such an influential voice, really the last say how ascension will occur. I will not get too lengthy here, but delay after delay has occurred because of our insistence to bring along as many as possible. Plan after plan has been revised. Ascension test runs are conducted just before each major meeting of the ascension council. These ascension test runs involve not only us but all of humanity. Are we ready to hold enough light? What is the masses’ light quotient? All of these statistics are given to us and we make the final decision. The last such meeting was during this recent new moon (July 19). The one before that, a huge one, was 15-16th of July. At that meeting it was decided that more intense energy would be directed at the planet for another week. These meeting are getting more frequent, because time is running so short. Even though we have a say in the procedures, a firm date has always been for earth to ascend by the end of 2012. These meetings and the test runs always zap our energy when we return to our still 3-D bodies. In the latest meeting, it was decided that we should set a preliminary date of ascension yet again for the last week in July. These delays, like the one in 2009 and again at 11-11, used to be delays for years or months, now we only have the luxury to delay for days because we are literally “under the gun”. Our test runs went fine this time. We (PAT) can hold the light. The masses have never been more ready. The dark is in retreat. The biggest problem is our small numbers, originally for first wave ascension to be in the hundreds of thousand or up to a million, but will now only be in the low thousands. And I was also told, although I don’t understand why, that there are even less of us ready to ascend now and lead than before 11-11. How could that be? But I was also told that because of our low numbers, few if any of us will be allowed to return to our home. All of us, including me, will need to stay and guide humanity at least for awhile. The last part of the message is this: That plans are fluid and the timing can change yet again, but one thing can’t change - OUR ASCENSION IS ASSURED.